Remember the enabled Huawei speaker for an early Android 6.0.1 Marshmallow build we showed you some time ago? Well, it looks as if that early build was legitimate, and that the intention of Google with regard to Android Wear is clear: despite the failure of LG’s first cellular-connected Android Wear smartwatch, Google wants all its devices to ultimately allow you to talk from your wrist (yes, even if you have a Bluetooth-only device that must pair with your smartphone to do so.). 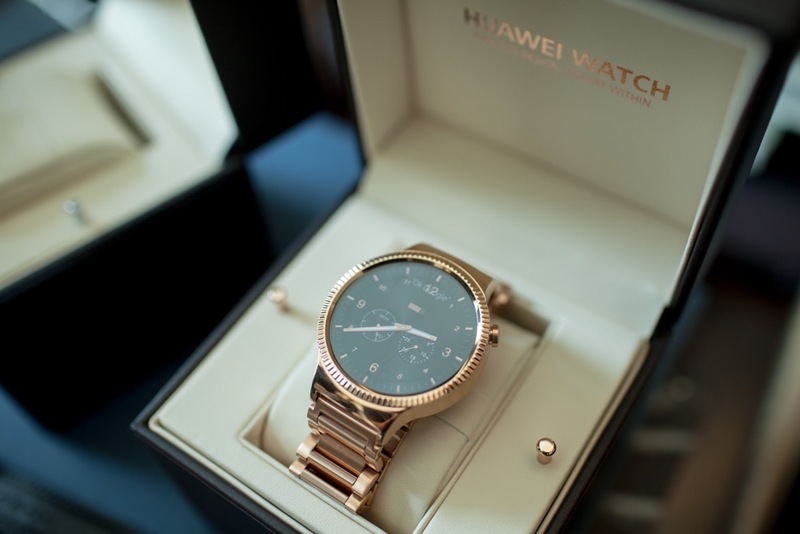 The Huawei Watch speaker that has lain idle in Android Wear is being brought to life, as Google has released a new Android Wear update that will provide speaker support for calls and texts, voice text messages, and new wrist gestures. Google states in the new Android Wear update announcement that speaker support for calls and texts is as simple as enabling the speaker that already exists in devices such as the Huawei Watch (for men) and the Watch Jewel and Elegant for ladies, as well as the Asus ZenWatch 2. As for all other Android Wear devices that don’t have an in-built speaker as part of the hardware, they, too, will receive the new update. The new speaker support will allow you to send voice text messages to Google Hangouts as well as Viber, WhatsApp, and secure messaging platform Telegram. Now, you need not worry about whether or not your friends and relatives have Google Hangouts or not. Last but not least, you can “flick your wrist” back and forth to enable certain gestures that let you open an info card even further or pull up priority apps on your Android Wear display. The search engine giant is rolling out the update as of this week, with the expectation that all Android Wear devices will receive it “over the next few weeks, including new watches like the Casio Smart Outdoor Watch (yes, the Casio WSD-F10) and the new Huawei Watch models for ladies. For those who enjoy hands-free capabilities, Google is meeting your request. Have you received the new Android Wear update? If so, feel free to let us know if your speaker is now active.